From footwork to footwear, Neymar doesn't do subtle. Just as obvious off pitch as it is on pitch, his style blends the artful soul of Brazil with Parisian flare. Read on to see how Neymar pulls together his looks and makes a bold statement each day. Following in the footsteps of the great Brazilian Ronaldo, Neymar has worn Mercurials since he was a kid, playing in the favelas of Santos. 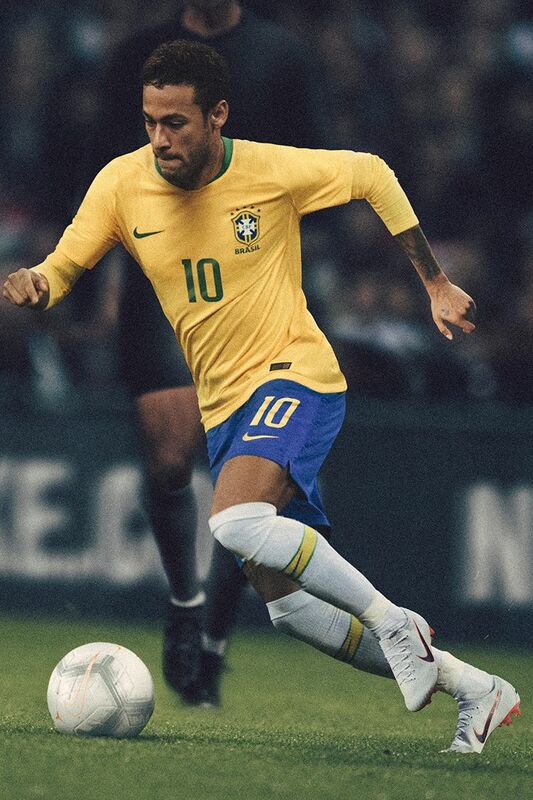 With his unique blend of speed and creativity, Neymar prefers the low-top feel of Vapor he's enjoyed his whole life. Sticking to his habits, Neymar still pulls his socks over his knees, the same way he did growing up. Now, playing in Europe's cooler climates, he's adapted to wearing drill tops and pants to stay warm. 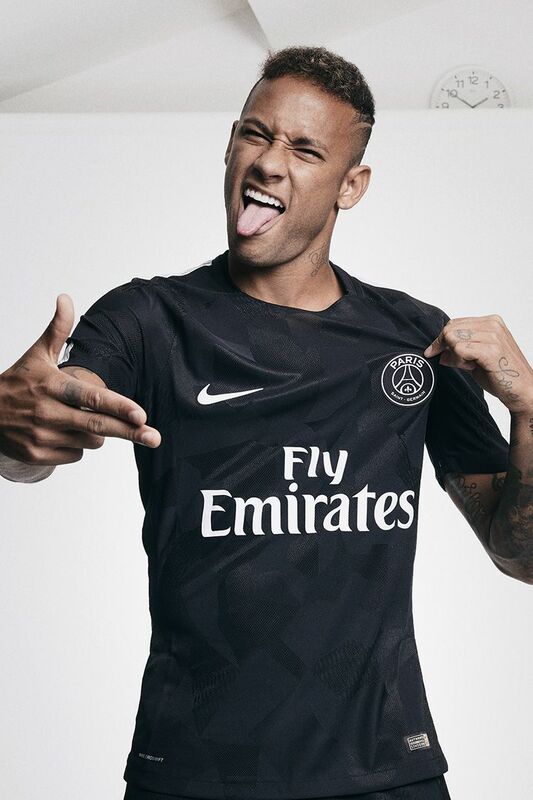 On game days, his Paris Saint-Germain and Brazil kits, made with Nike's latest innovations, let him play free from distractions. Long before he was an international football phenomenon, the kid from Brazil fell in love with Jordans. From his first pair of Vs as a kid, to the first Jordan x Nike Football collab, Jumpman has always been at the heart of Neymar's style. As his style developed, what started with Jordan blossomed into a full-blown sneaker obsession. Outside of Jordan, he loves everything "Air". 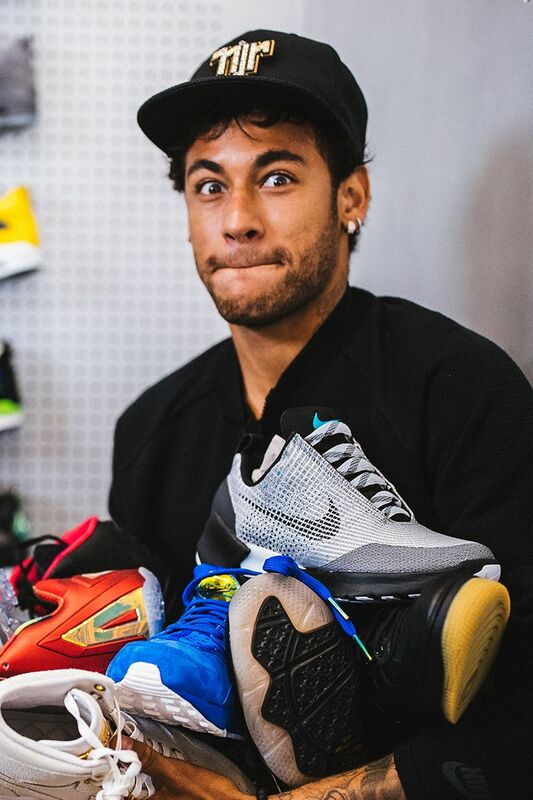 While the comfort of VaporMax makes it his favourite, Neymar is often spotted wearing Air Max 270, Air Max 1 and even more audacious styles like the Air More Uptempo. Growing up with limited access to new shoes, he's making up for lost time. As his collection grows, so does his style. On the pitch, Neymar can't be put in a box; off the pitch, it's the same story. 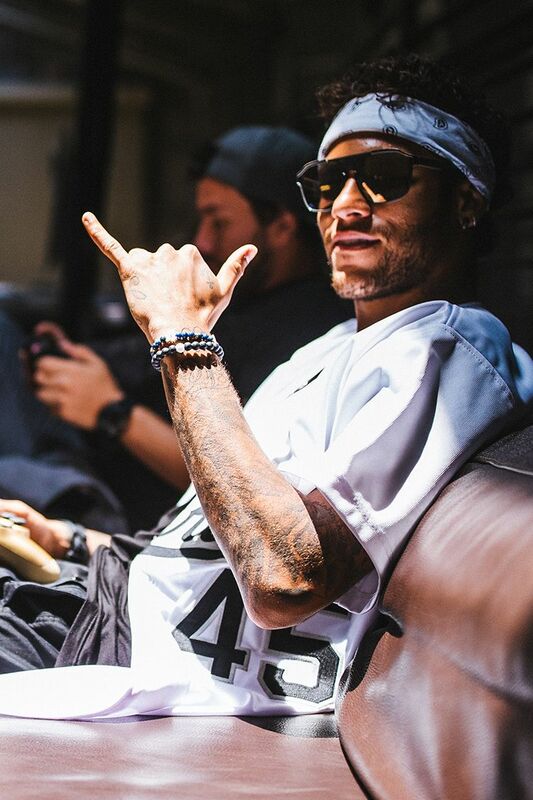 Inspired by the world around him, Neymar refreshes his style constantly. Following Paris's trends while mixing in a taste for NBA jerseys and flat brims, he's on the cutting edge of fashion. As his style has evolved, he's found a few go-to pieces, including loose-fitting shirts and Tech Pack hoodies, trousers or shorts. Never one to be tangled up, Neymar prefers slim-fit bottoms. Shop all Neymar's favourites, from training apparel to his signature footwear, all in one place, in Neymar's Shop.